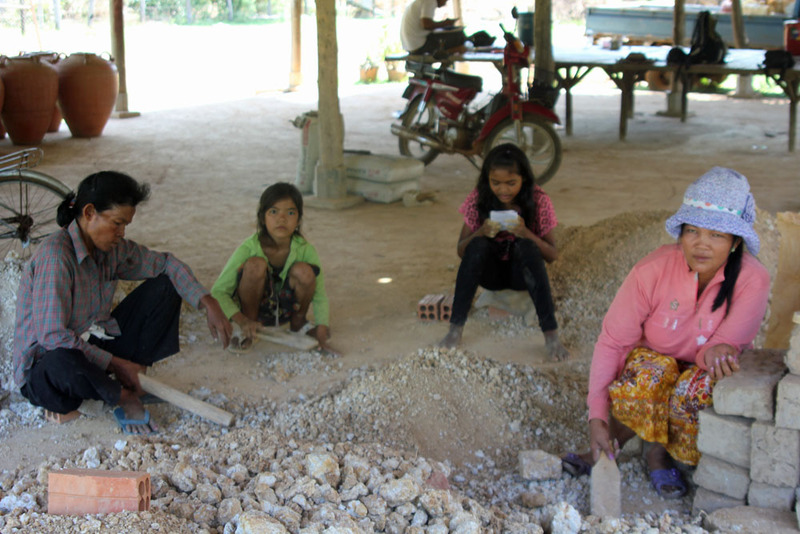 Khmer Artisan Project is a 501(c)(3), nonprofit corporation. Donations are fully tax deductible. Please help Bruce continue with this project. 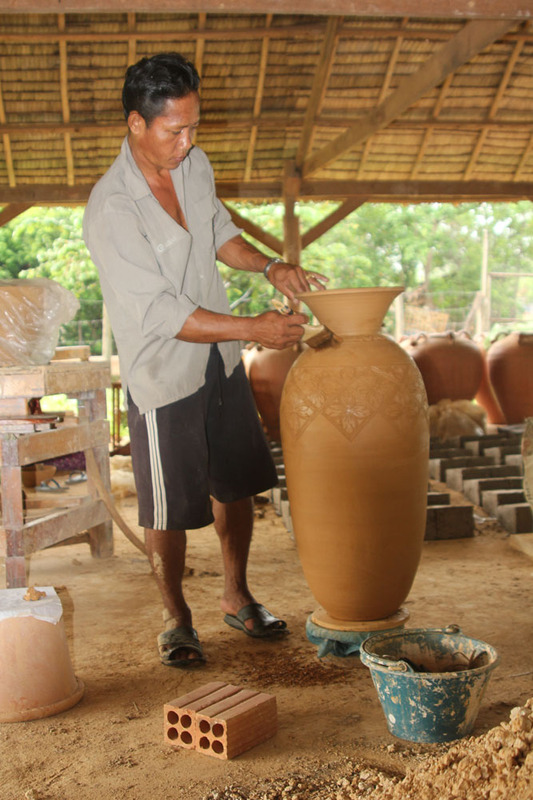 Every year, Bruce travels to Odonrossey Village, a rural pottery village in the Tonle Sap region, about five kilometers outside of the town of Kampong Chhnang, Cambodia. 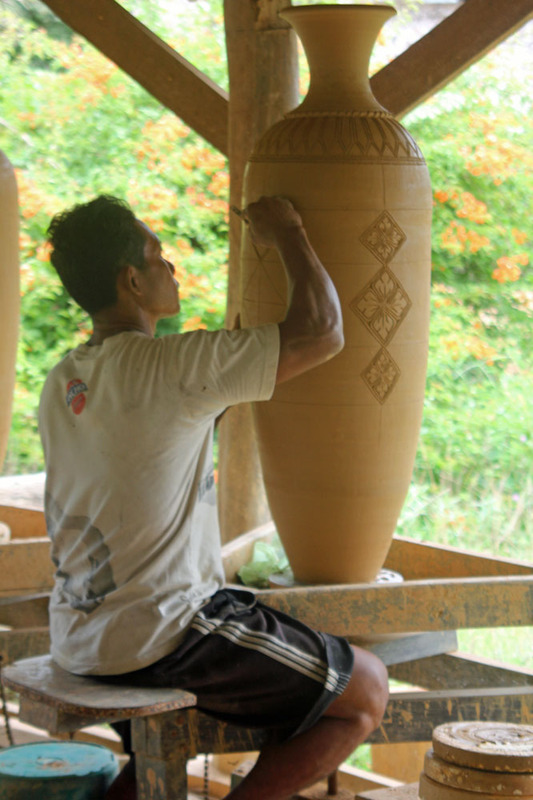 There, he works with the artisan-potters in the Village, teaching them modern methods for creating their pottery. 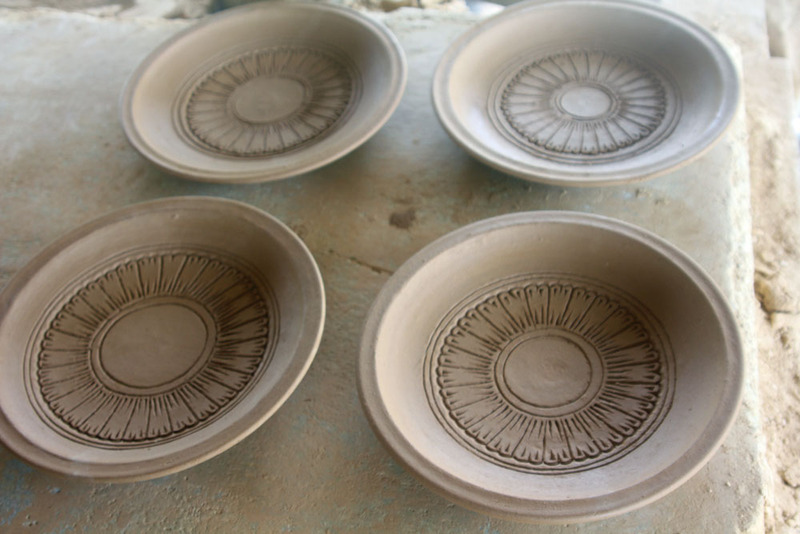 Together, Bruce and the area potters have created a new line of pottery which blends their historical pottery with innovate designs and newer technology. 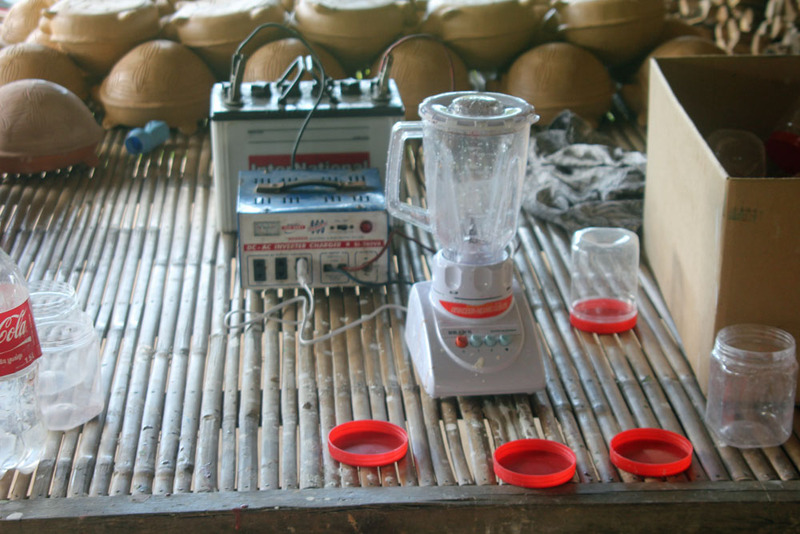 Bruce shares the projects progress along with stories of life in the village through his blog. We finished the second kiln. It still needs some help. The big kiln works way too good. I finally got my shipment of glaze materials from Thailand. It was a bit of an ordeal but in the end everyt hing worked out just fine. Ming has been doing a long haul marathon making turtles. I have been making the large vases and Sok Nep decorates them. The glaze lab is all set up and highly functional as long as it is not to hot outside. It has a tin roof. 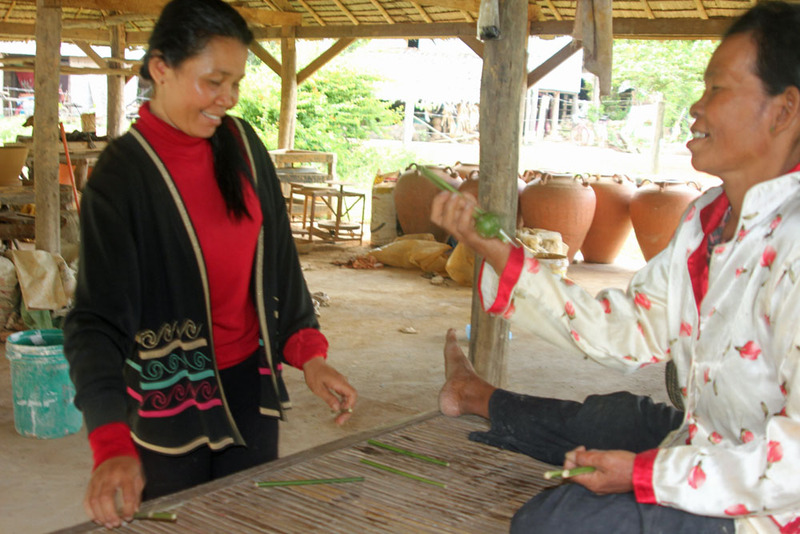 The girl working on the elephant is teaching Ming and Mum how to make them. I made some prototype plates. They should look really nice when finished. Firing the smaller kiln. The rest of the pictures are pictures of some finished pieces. Time is running out for this year and everything is in overdrive now. 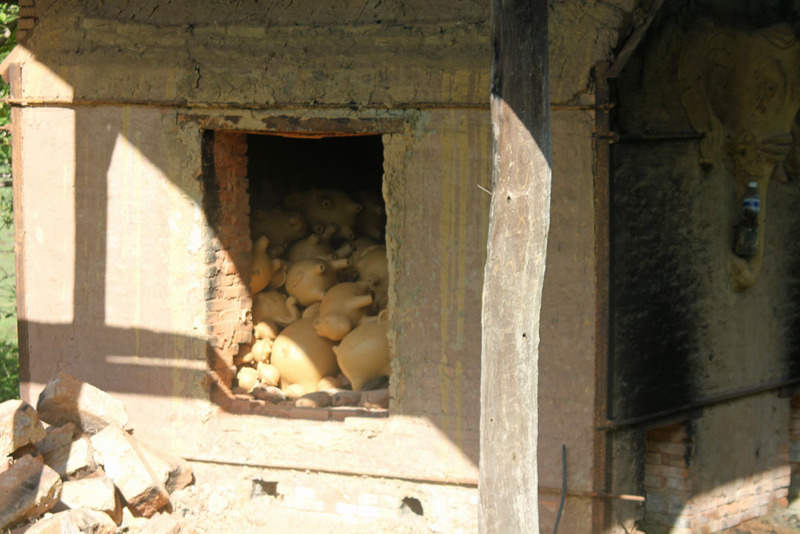 Tomorrow we fire a big kiln full of turtles. Things have been going well. The clay formula is working. Many thinks for the advise from Steve at Aardvark Clay. 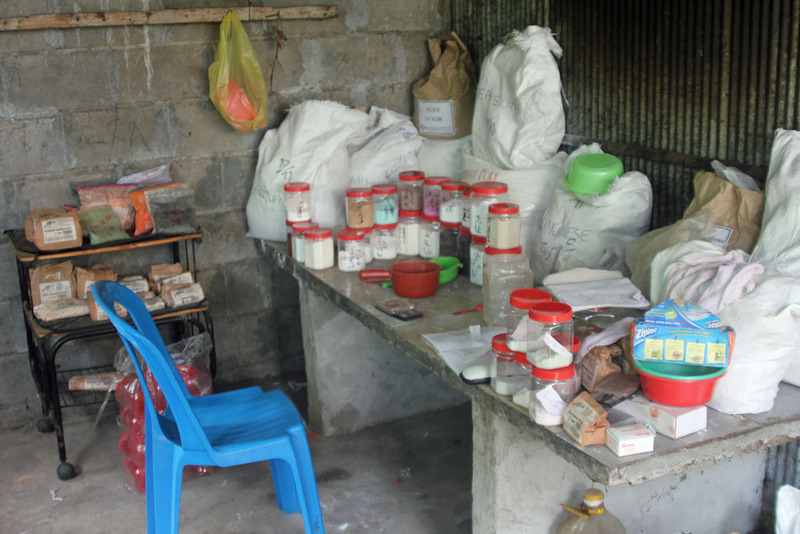 The formula is basically 80% clay from Prey Khmai a red clay, 10% sand, 10 % clay from the Wat which is a more refractory ball clay and 5% Bentonite which is a fine clay. 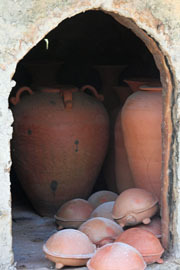 The big pots did not crack in the firing and the clay has nice elasticity. 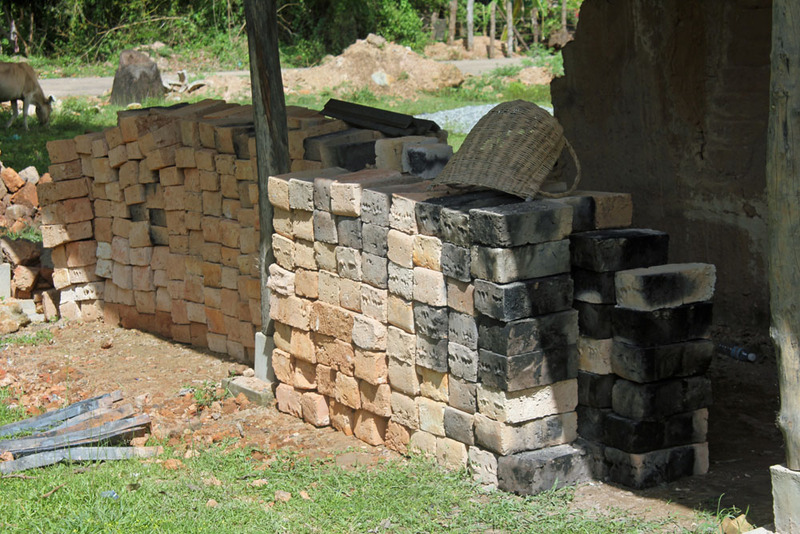 We fired a kiln load of of bricks for the smaller kiln. 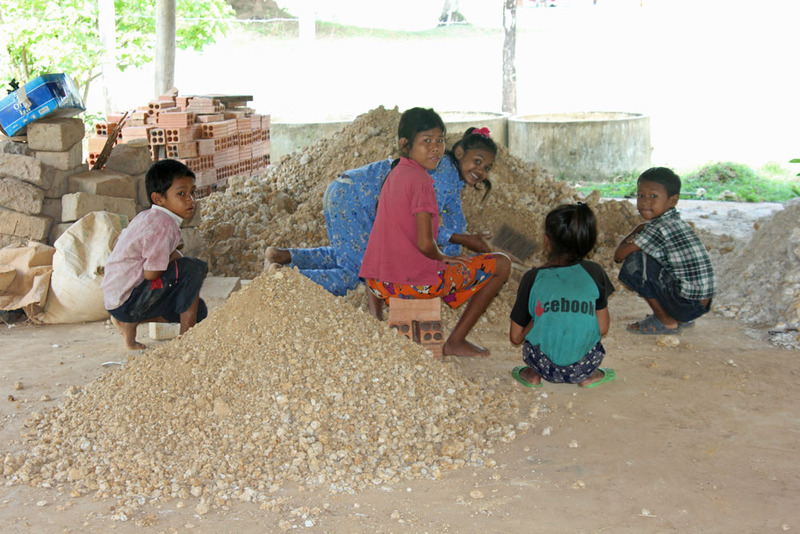 All of the bricks in the pile came from one firing. 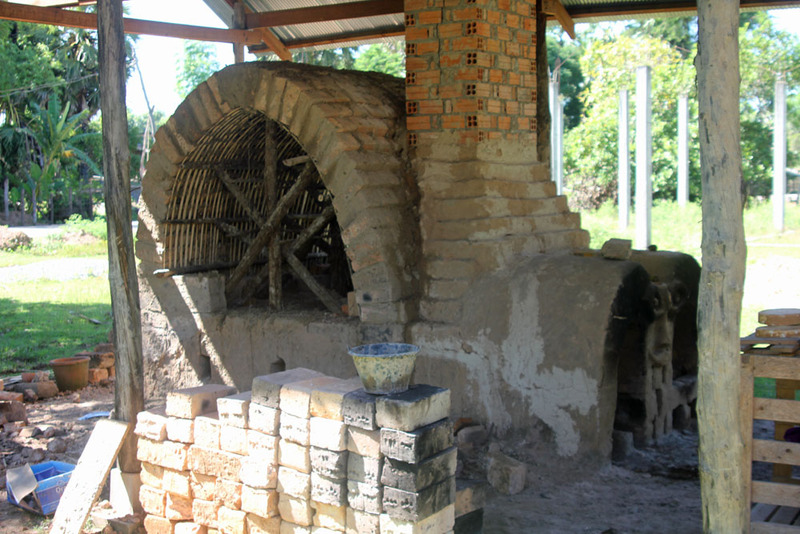 The remains of the kiln are cleaned up and ready for a new arch. 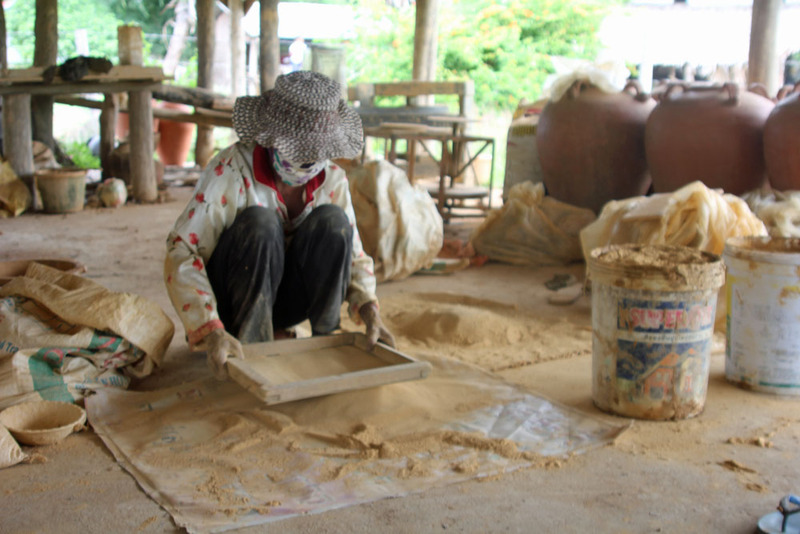 Making the clay requires sifting of the clay. 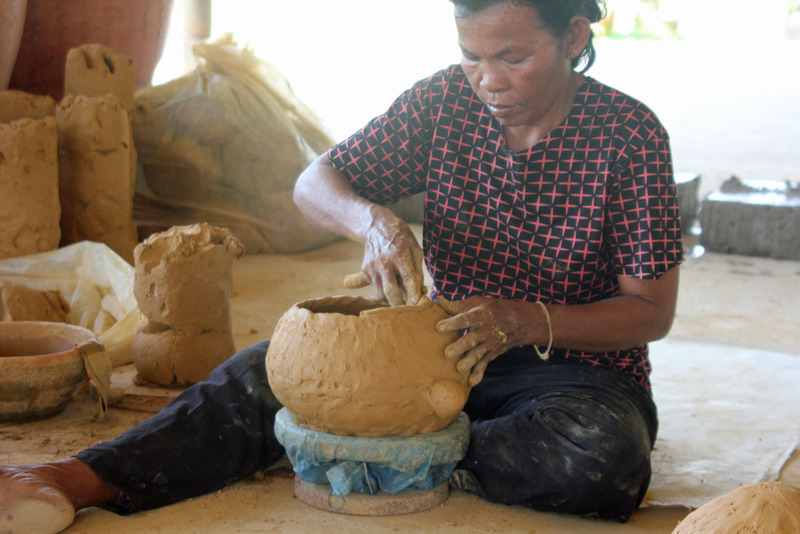 Ming is sifting the clay. 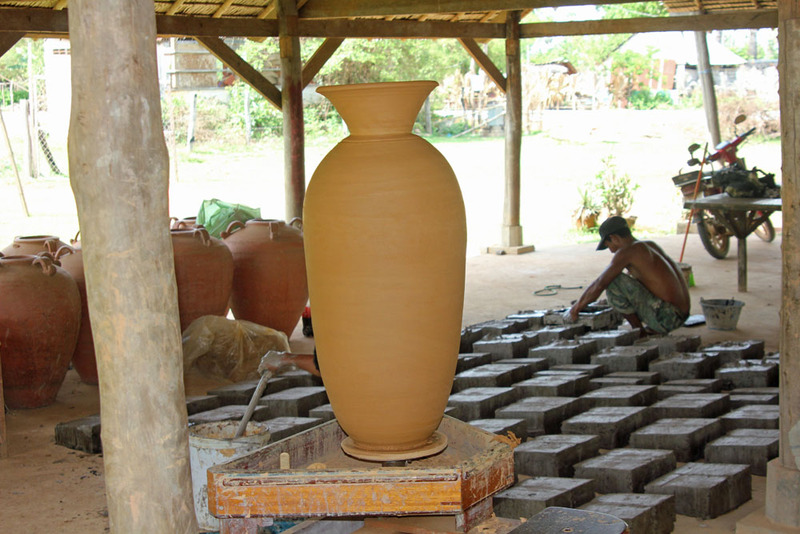 The two five gallon buckets have wet clay ready to be put on the wedging board and wedged into workable clay. 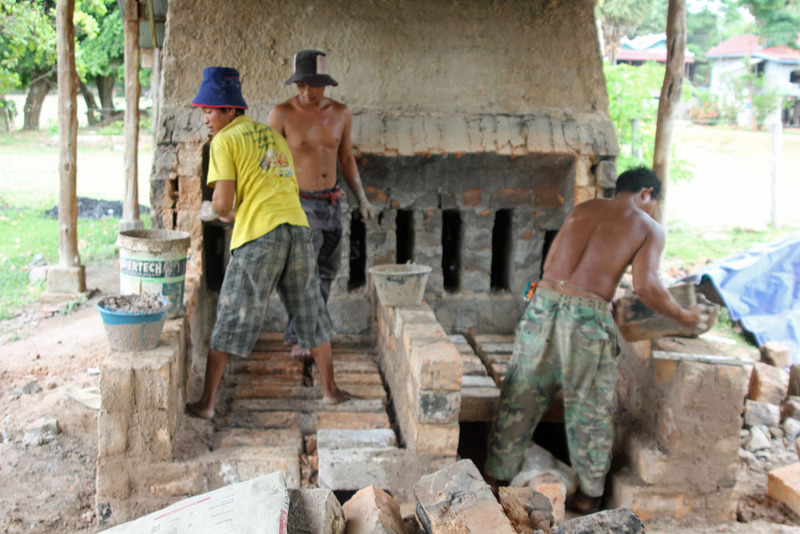 GaPow and Chia are firing the elephant kiln full of elephants they made. Firing the kiln is very hot work. 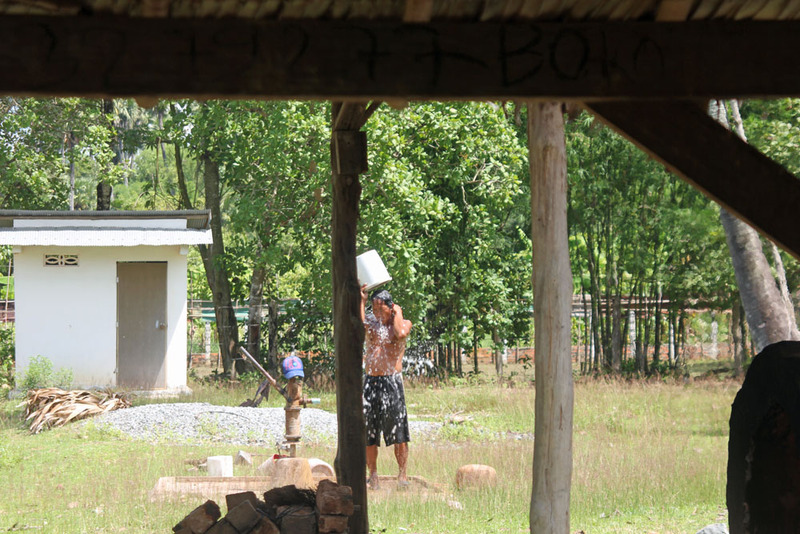 Sok Nep is cooling off before going back in front of the fire box. The firing came out great. 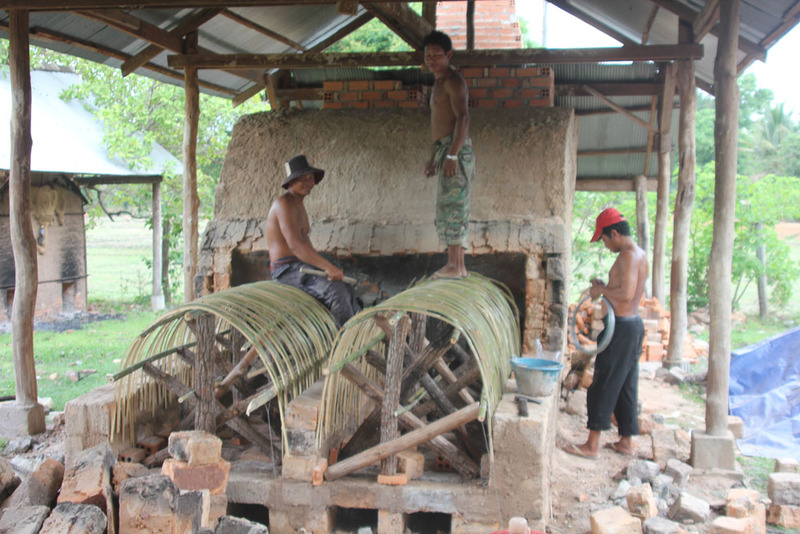 Sok Nep doing brick work on the arch of the smaller kiln. It is not all work. Mum came by yesterday with some chop stick size pieces of bamboo and a lime. This turned into a game of old school jacks. If you look at the center top of the picture of Ming playing jacks you can see the lime in mid air. 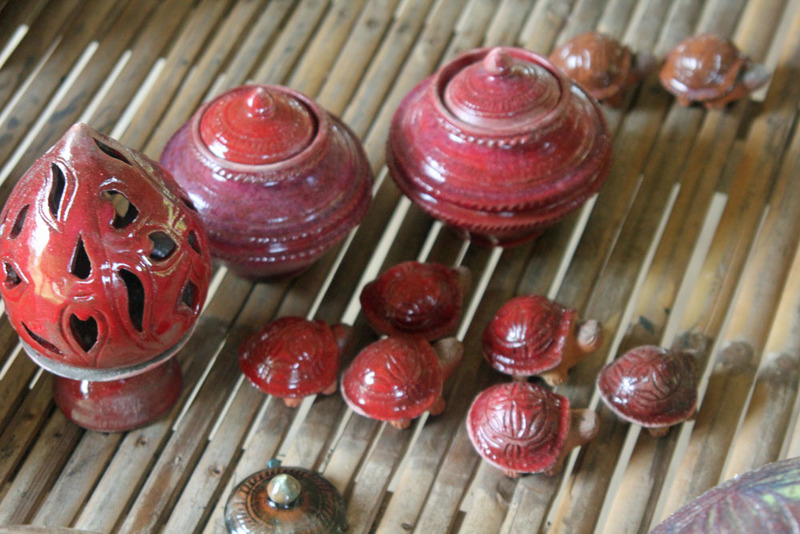 I have about 500 pounds of glaze materials on order from Thailand. As soon as it arrives the glaze experiments will begin. It has been a busy past few weeks. 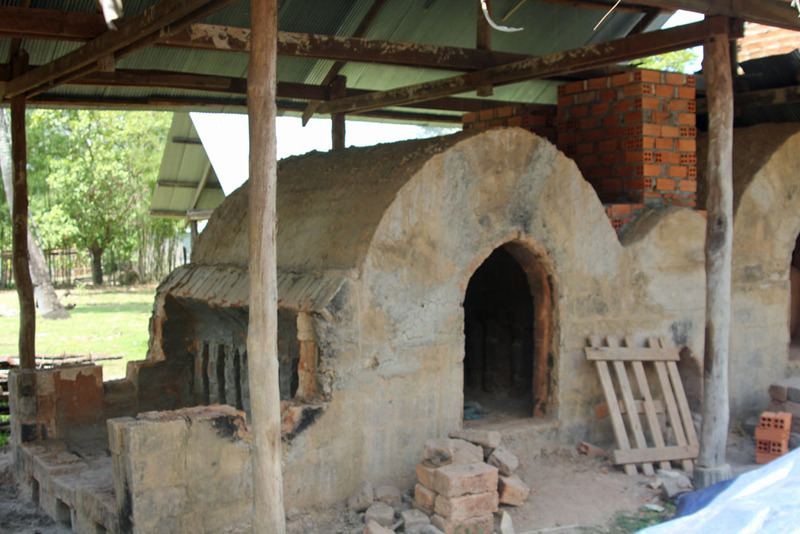 The kiln is rebuilt. We have been very busy making clay and using it up just about as fast as we can make it. 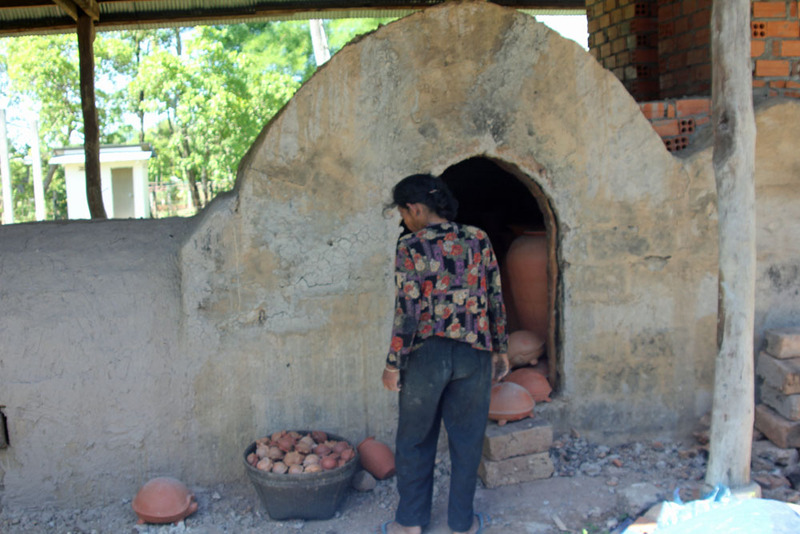 The big day finally came to fire the kiln Ming is loading small stuff mainly little turtles. 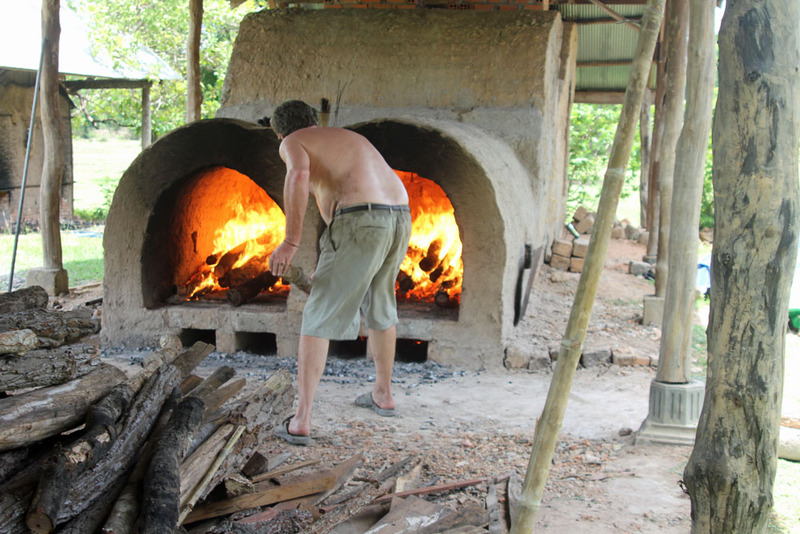 Firing and stoking the kiln was really hot work. The kiln fired excellent. We did an 06 bisque which is about 1652F. 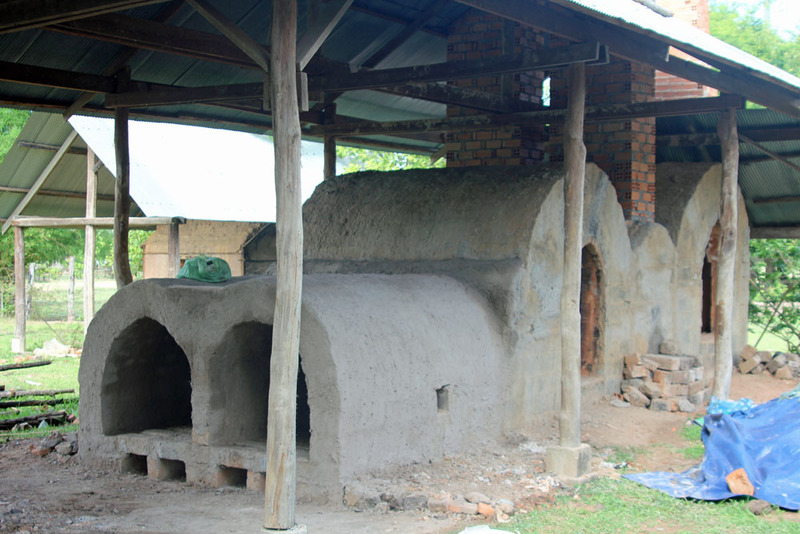 The kiln fired off in 5 hours and 45 minutes after a few hour pre heat. 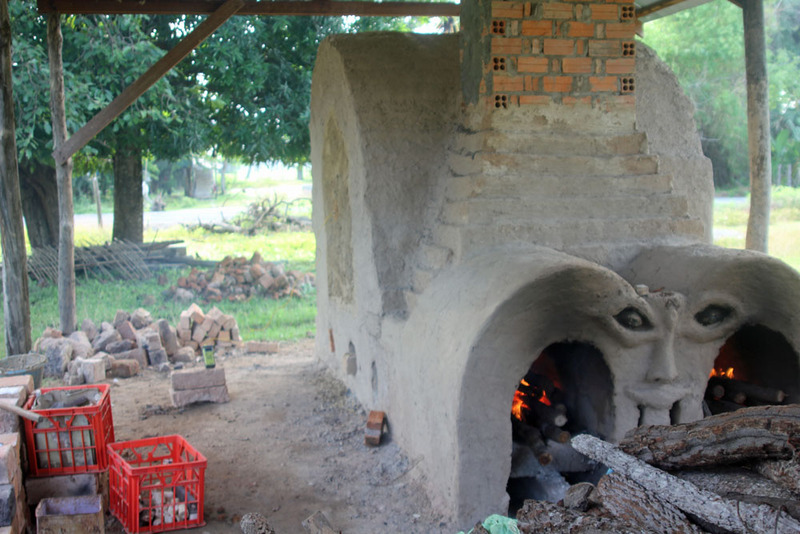 It fired exceptionally good and fast for a 250 cubic foot kiln. 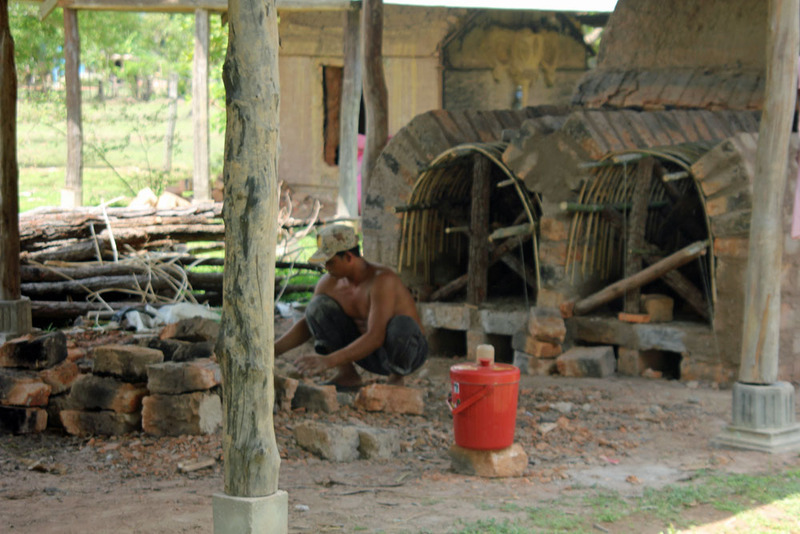 Two days later Ming is unloading the kiln. It is like a sauna inside the kiln. A couple of my big pots cracked. Most likely from being fired too fast. 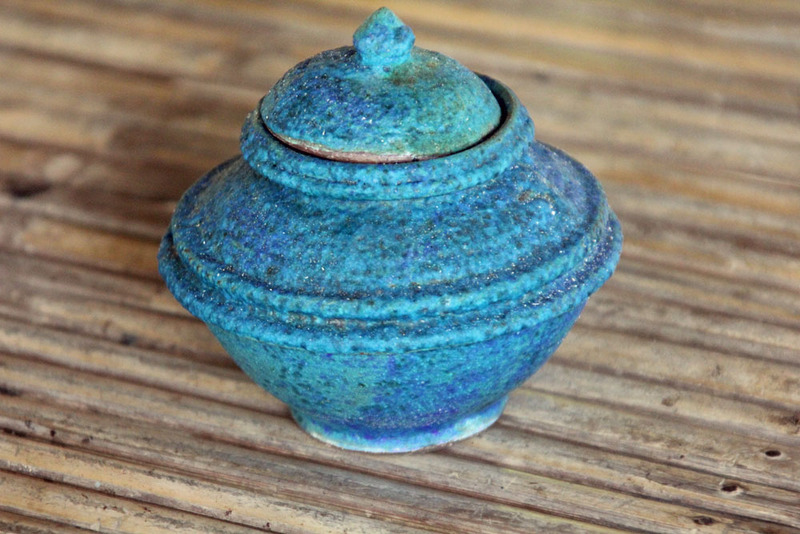 Next time it will be slower but I wanted to see what the kiln would do. 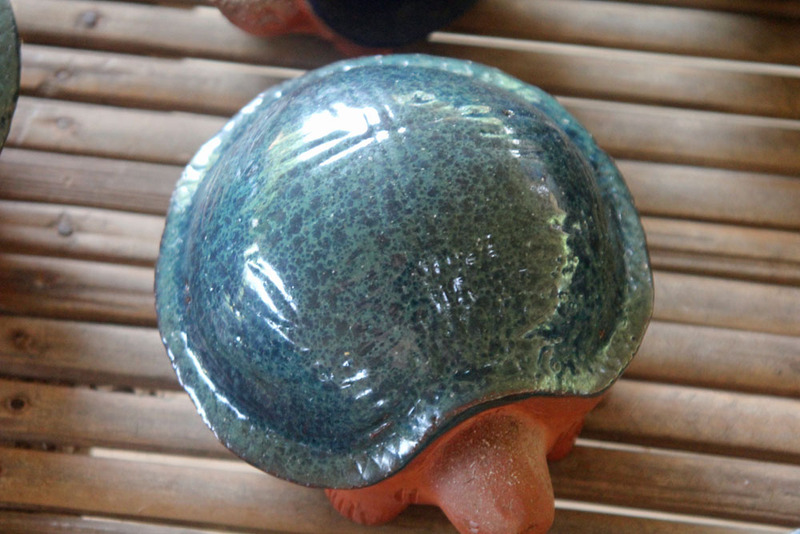 Mings turtles are actually coil pots. 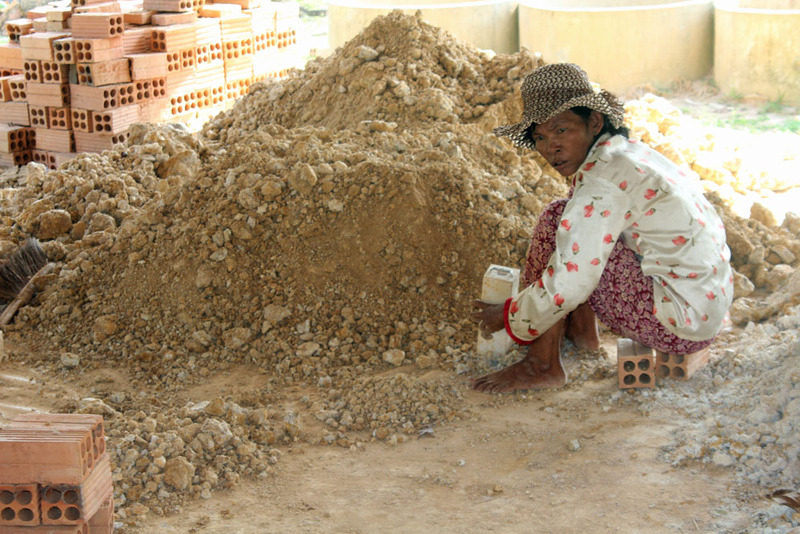 She is in her normal working position on the floor.. Next we are going to fire a full load of bricks to finish rebuilding the other kiln. 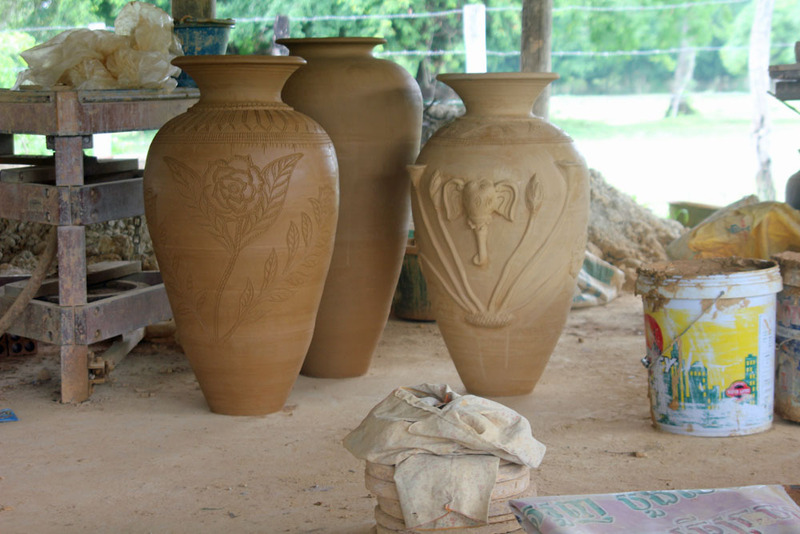 Then we have about ten large vases done and drying and fifty large turtles. Work is progressing. 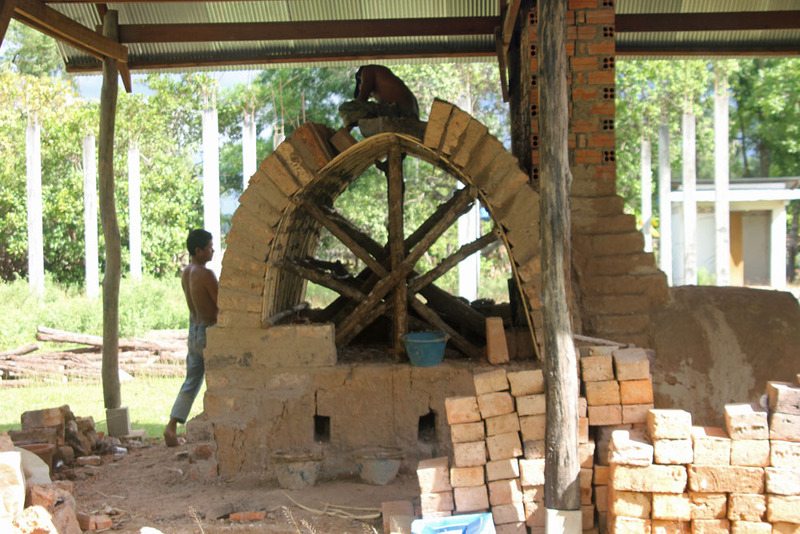 After a year of use the kiln we built last year has become structurally unstable. 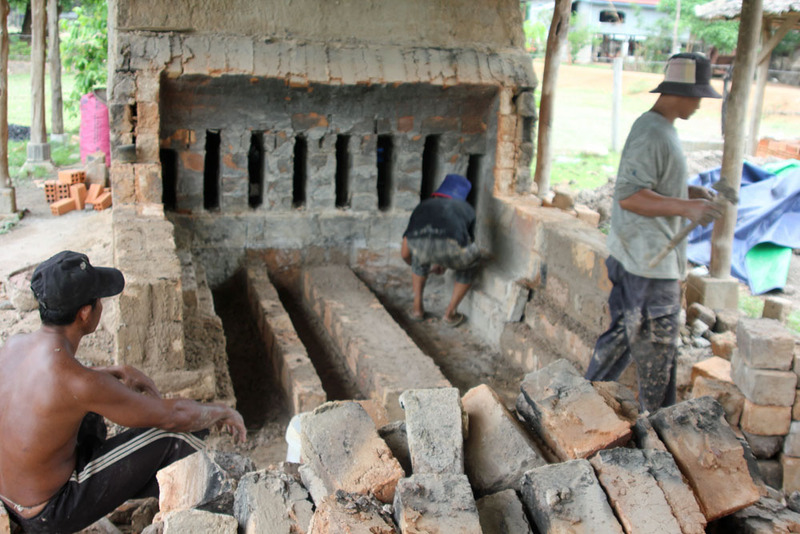 When we built the kiln the bricks we used were to wet. I decided to rebuild the firebox in the big kiln to get a kiln up and running quickly. 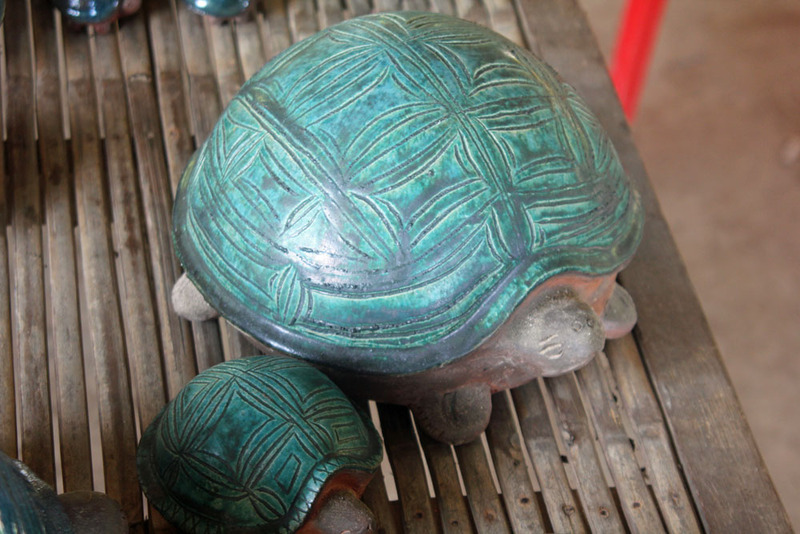 While the reconfiguring is going on with the kiln GaPow is working on one of many turtles. The floor of the firebox is getting set. Then the frame goes up to support the arches of the firebox. 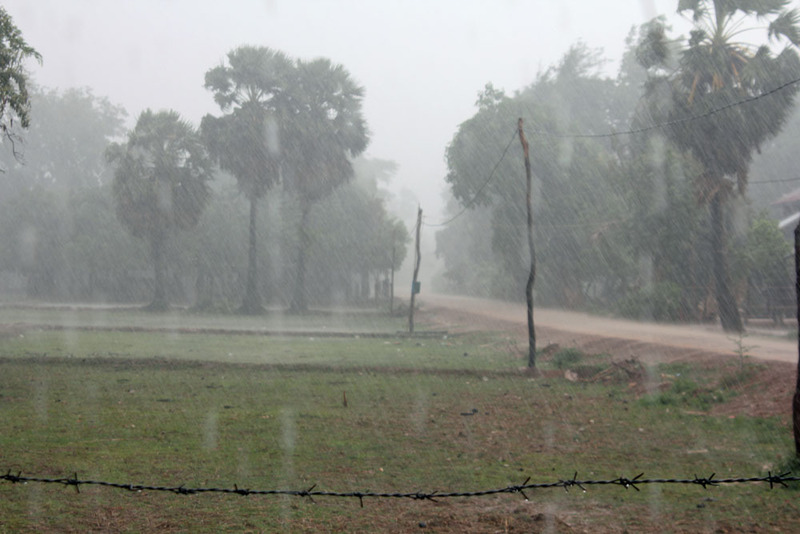 One afternoon we had a wicked thunderstorm but the cool breeze was very nice. 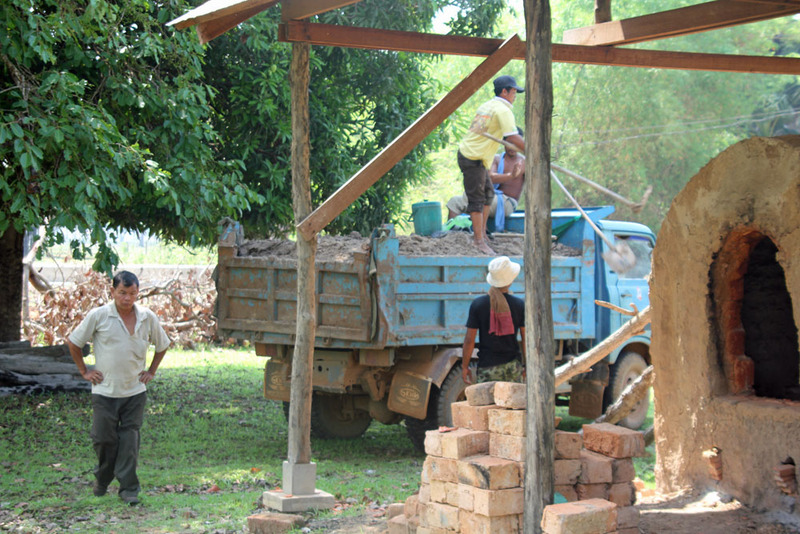 We ran out of recycled bricks so we had to go into brick making mode. 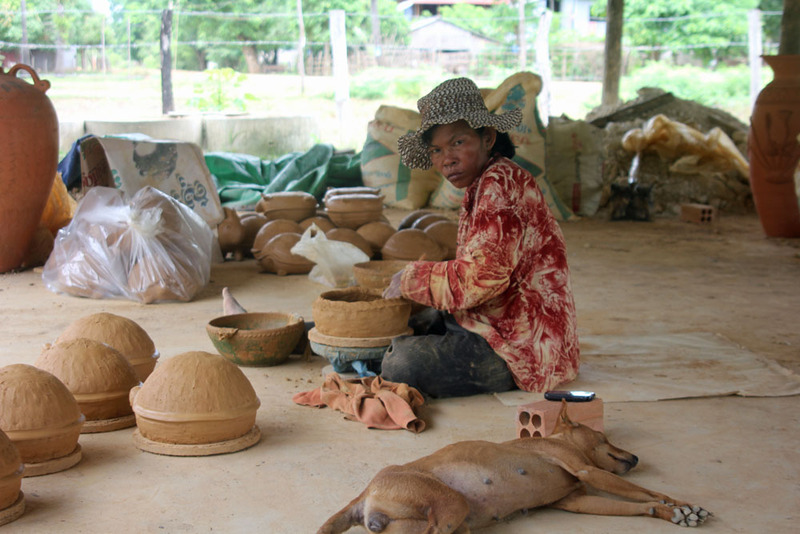 First is mixing the clay for the bricks.Did my first coil pot of the year and Sok Nep is in the background making bricks. On Sunday I was working at the shop by myself and this little girl came into the shop to watch. She just kept waving at me when I tried to talk to her. 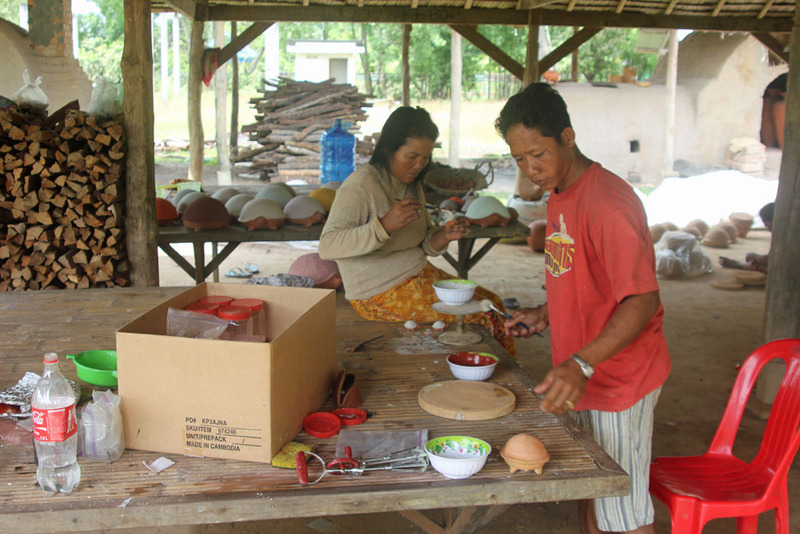 Sok Nep is doing the final touches on the first coil pot. It was a busy week but lots was accomplished. 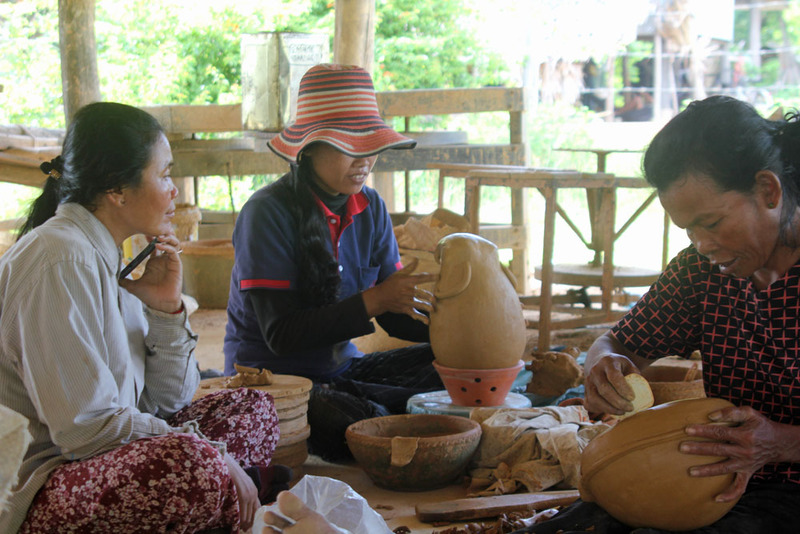 It is a new year in Kampong Chhnang and Khmer Artisan Project. I had high hopes of not having to do any construction projects this year but that was not in the cards. The kiln we built last year has become unstable with major cracks. 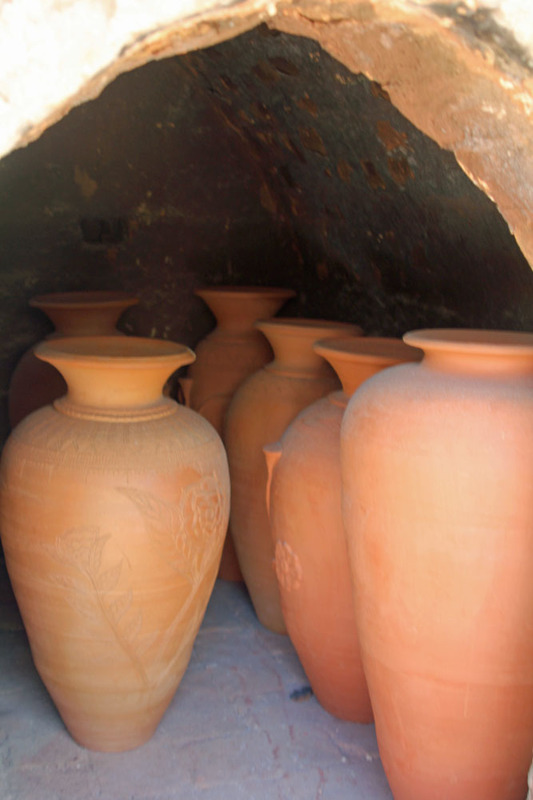 I had already had plans on reconfiguring the big kiln but not immediately. There were two different types of clay waiting for us at the shop. 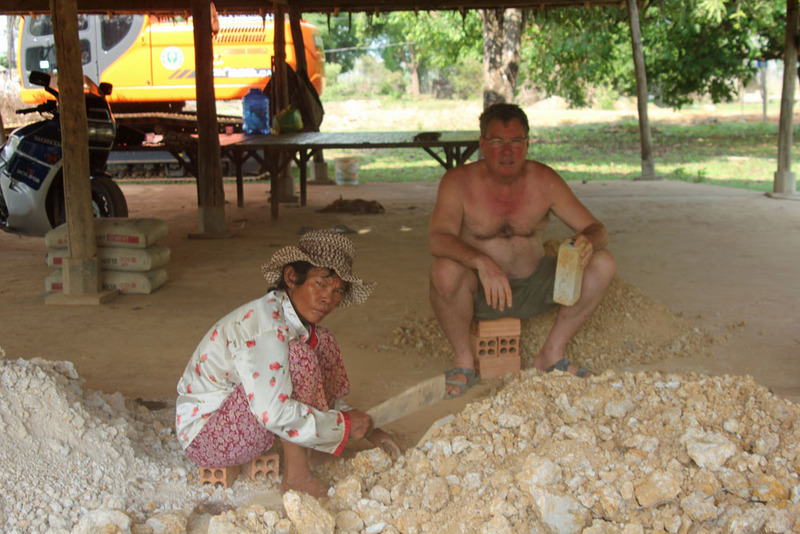 Unfortunately the chunks of clay have to be broken down to smaller than a walnut size to fit into the grinder. Smashing the chunks of clay down is done with everything from chunks of cement to paddles or small bats. It is slow going. The kids took over as the second string. At one point one of the girls was reading ghost stories to Ming and GaPow for entertainment. 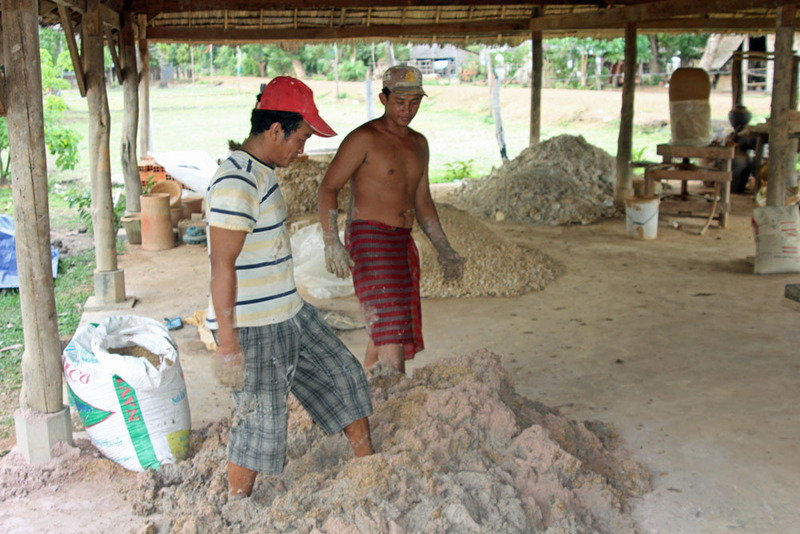 We got a truck load of clay from the Wat which has a much higher melting point. 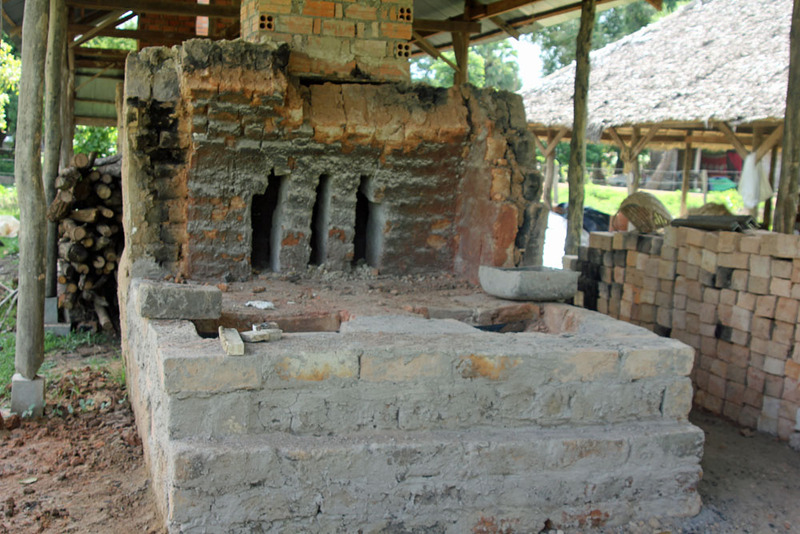 The last picture is the big kiln with the two chimnies half done and the fire box all torn apart. The kiln should be operational in about a week.